"A lonely girl is taken to live in her grandma's airless flat where the windows are shut tight. Her memories of seagulls and sand dunes begin to fade in the silence. One night a handmade kite comes to life and heralds the start of a wild adventure and the chance to find what it seemed was lost forever. 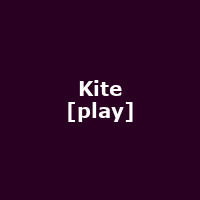 From acclaimed theatre company The Wrong Crowd, creators of inventive, playful and compelling new theatre (Swanhunter, Hag, The Girl with the Iron Claws), Kite is for audiences of all ages (7+). A poignant love-song to the wind, freedom and the joy of play. "